Though there are middle to upper class locales, the South Side featured prominently in the Opportunity Zone maps drawn up last year. There are 327 designated Opportunity Zone tracts in Illinois, scores of which are on Chicago’s South Side, in portions of neighborhoods such as Englewood, South Shore, Bronzeville and others. The core concept of the Opportunity Zone program is to infuse disadvantaged communities with capital gains funds, with the goal of uplifting the target area while simultaneously offering tax relief to the investors. The prospects are higher in those areas with decent fundamentals already in place, where an Opportunity Zone investment is more of a nudge than a Hail Mary. On the South Side, improvement has already been underway for some time, with manufacturing, retail and recreation investments in the Pullman neighborhood as a good example. The forthcoming Obama presidential library and Tiger Woods golf course will only serve to propel their surrounding areas in the future. Last year, Birk and Kiser Group director Aaron Sklar together sold 54 multifamily buildings in 2018 throughout Chicago’s south side neighborhoods. According to CoStar data, this was the largest market share for any brokerage or broker team working in the area, accounting for more than 43 percent of transactions. The vast majority of their deals occurred in areas that have now been identified as opportunity zones, leading to a major push from investors new to the South Side eyeing the market as an opportune location to place capital. “Noah and I are always inundated with calls from new guys who are looking at this market who aren’t your usual suspects,” said Sklar. 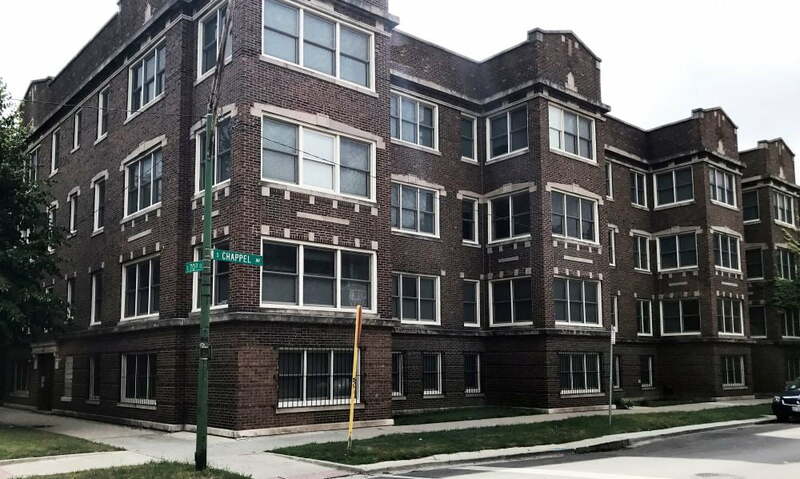 Among their transactions last year was the $2.5-million sale of 7001 S. Chappel Avenue, the highest price per unit in South Shore at the time of sale. Birk and Sklar also facilitated a six-building, 124-unit portfolio deal for $6.3 million and handled the sale of 720 W. 47th Street, a 16-unit building, for $2.48 million. The pair sold 14 buildings in December and had a record month in October with the brokering of 17 buildings. Sale velocity had already been trending upward, but the new federal Opportunity Zone program only seemed to further pique interest in the area. One of the unintended benefits of the new program is that buildings outside of designated Opportunity Zones are also starting to see increased demand. Anticipating that a turnaround of certain areas flush with new capital will radiate out to adjacent areas, investors have begun scooping up retail or mixed-use properties. One caveat to the Opportunity Zone program is that many aspect of it remain very much in the dark. Investors want to get in, but they are often doing so blindly. Add to that the peculiarities of investing in workforce multifamily, regardless of any federal tax benefits. Investors accustomed to dealing with a particular building type and tenant profile can be caught off guard when exploring their options outside of their typical markets. The census tracts that make up Illinois’ designated Opportunity Zones are the most economically impoverished areas in the state, with a median household income just over $30,000, an over 20 percent unemployment rate and a poverty rate above 36 percent. The hope is that fresh investments will help lift up these regions; on Chicago’s South Side, that process appears to have already begun.